Situated in the heart of Pipa in a green area of over 1,500 meters, where a beautiful sunset and the sea can be spotted, you find the Hostel do Ceu. The Hostel is located 80 mts. 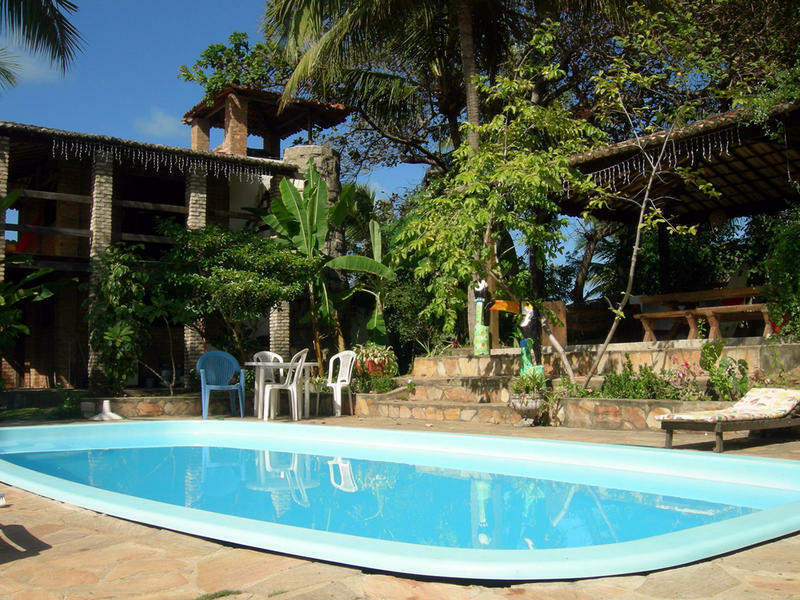 of Main Street and 100 meters from the first access to the center of Pipa Beach. Come and enjoy the beautiful sunsets qo enjoying our garden offers the best sound and relaxing by the pool. We have private chalets for double, triple, quadruple ... up to 6 people, with powerful fans, TV, litter box, hot shower, private bathroom, veranda with hammock, pool, large green area, breakfast in the garden, churrasquera , pool bar, WI-FI, private parking ... views to the sea! If you book between December 15th and March 15th you will be charged 50% in advance in order to secure your booking (non refundable). You also may be contacted by the property requesting the CVV code of the credit card used for this booking or asked for a deposit. Situated in the heart of Pipa, 100 meters from the main street, Avda. Dolphin Bay, and 5 min. walk from the central beach! !00 mts. from Bus stop.